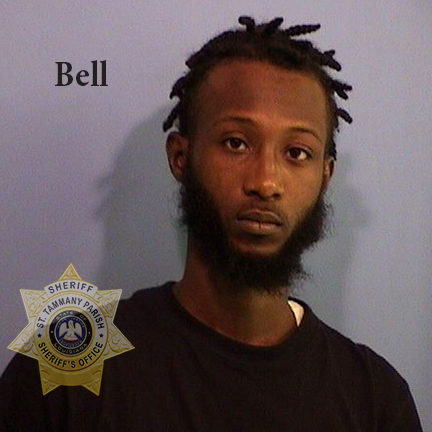 An investigation into a reported “road rage” incident in the Slidell area resulted in the recovery of a vehicle reported stolen out of New Orleans, a firearm reported stolen out of Jefferson Parish and narcotics. At approximately 1:30 p.m. on Tuesday (October 23) a deputy assigned to the St. Tammany Parish Sheriff’s Office Traffic Division was responding to a report of a “road rage” incident involving a firearm on I-59 South near Highway 1090 when he observed the vehicle in question, a light blue Toyota Prius, parked on the shoulder of the interstate. As the deputy approached the vehicle, two men exited and fled on foot over a fence and into an adjacent neighborhood. They were located a short time later hiding inside a portable restroom and were taken into custody. While searching the interior of the Prius prior to it being towed from the shoulder of the roadway, the deputy located nine various sized bags of suspected marijuana, one pill bottle containing suspected MDMA, one clear plastic bag containing suspected partial broken pills of MDMA, one bag containing suspected crack cocaine and a bag of suspected heroin. All of the discovered narcotics were packaged consistently with that of distribution. A scale with suspected marijuana residue and a handgun were also found inside the vehicle. 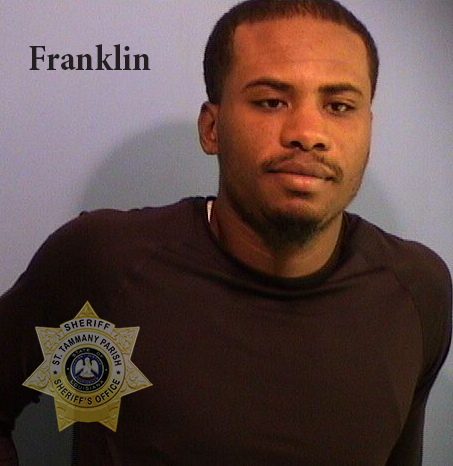 The firearm that was recovered had been reported as stolen out of Jefferson Parish and the vehicle had been reported stolen out of New Orleans. Additional charges in relation to the stolen vehicle and road rage incident are pending.